Tilda Rice is partnering with the World Food Program (again!) and donating a meal for every bag of Pure Basmati Dry (5kg, 1kg) and TSB sold in the UK to new and expectant mums in Bangladesh. I love to make these for my two girls, they’re so easy and guaranteed to please. 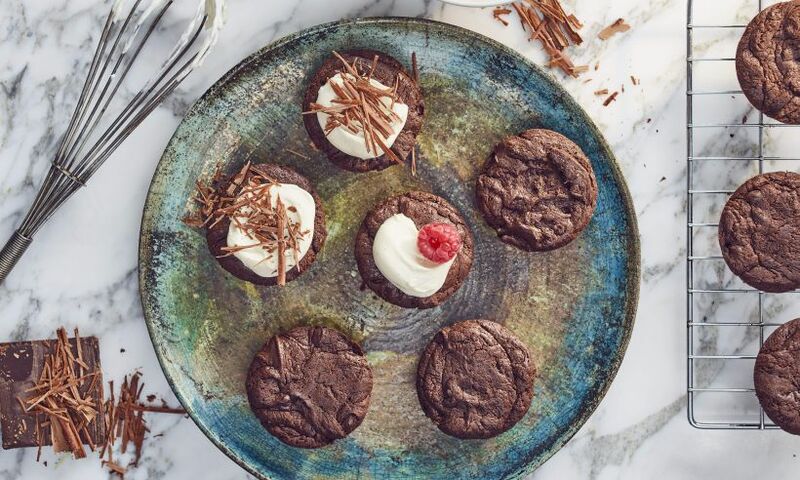 My mini chocolate cakes are delicious and so quick to make. I love my tea, so these cakes are the perfect treat to accompany a cuppa. Preheat oven to 200 degrees/gas mark 6. Put the butter and chocolate in a large heatproof bowl over a pan of simmering water, stir occasionally, and once melted allow to cool. Crack the eggs into a large separate bowl, add the sugar and beat on high speed for 4-5 minutes with a hand held whisk. Stir the salt and arrowroot into the melted chocolate until combined. Pour half of the egg mixture into the chocolate and stir gently, then stir in the remaining half. Half fill the muffin tins with chocolate mixture and bake for 7-10 minutes. This is a recipe I used from the amazing Diana Henry It’s such an easy family recipe and I think thighs are underrated! It’s a lovely summer dish with salad, or you can add mash and make it a hearty winter dish. I find fussy eaters like it which is great of you have guests with kids who aren’t so adventurous. 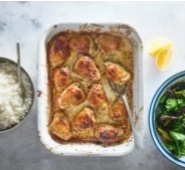 Coat the chicken thighs with English mustard – the amount of mustard is to your own tasting. Place in an oven-proof dish and pour the orange juice over the chicken so the thighs are about half way covered. Sprinkle the chicken thighs with a dusting of brown sugar, and then drizzle with olive oil. Cook for 20 minutes at 200°c. Take out of the oven, turn the chicken over and dust a little more sugar, cook for another 20 minutes.